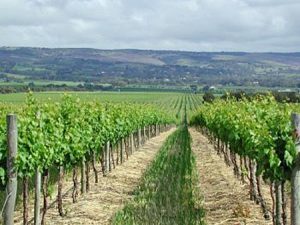 Mclaren Vale a renowned wine area, producing some of the best wines in the world and with over 76 wineries and is basking in the limelight on the International market. Grapes first planted in 1838 by John Reynell and Thomas Hardy. In recent times there has been a large area of grapes vines and olive trees planted. The region used to well known also for its almond growing, but many almond trees have been removed to make way for more grape vines. 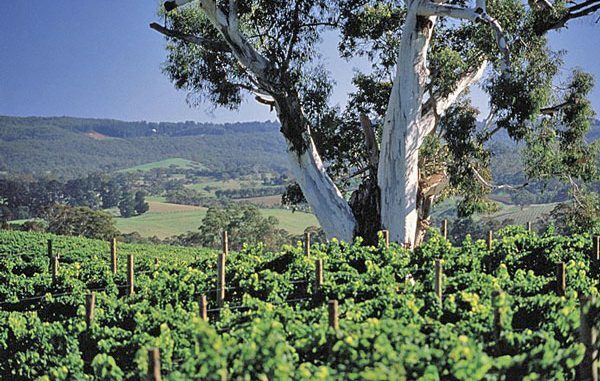 Mclaren Vale is thriving and only 40 minutes south of Adelaide an ideal spot to visit. Indigenous Australians, the Kaurna people roamed through the area for thousands of generations. A survey by John Mclaren soon after Europeans settled in South Australia in 1836, opened up the district for farming. 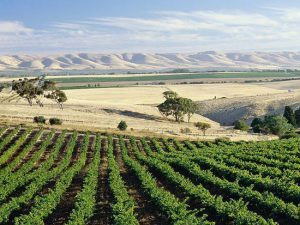 The district was named after John or David Mclaren, David Mclaren was Colonial Manager of the South Australian Company Mclaren Vale itself is pretty country town with good shopping facilities, has grown in size in recent years but retains a country outlook. Also as well as the cellar winery doors, good galleries and coffee shops abound in the district. Visitors are always welcome.